Author's Note: President Barack Hussein Obama has been running an administration that is lawless at best. Today begins a series of articles about "A Lawless Presidency". This series will illustrate a long chain of behavior by the President and his administration that clearly illustrates that they believe they are above the law or will just make it up as they go with a deliberate intention of creating a socialist nation and economy. The purpose of this series it to help create an informed electorate motivated to remove this lawless President and create a Republican majority in the Senate in November's election and restore our Republic to a government that respects the Constitution and the rule of law. The Fourteenth Amendment to the US Constitution is often referred to as the Equal Protection amendment. In other words, all people must be treated equally under the law. While researching for this series, I came across a situation that was such an egregious violation of equal protection that many people who heard me mention this in a recent speech could not believe it could possibly be true. Bankruptcy Law Review, earlier this month, posted a link to an article about Obama's Treasury Secretary, Timothy Geithner's plans to terminate the pensions of non-union workers at Delphi auto parts manufacturing company while using tax dollars to save the pensions of union workers. The link refers readers to an article by The Daily Caller stating Geithner "was the driving force behind terminating the pensions of 20,000 salaried retirees at Delphi." This action took place in 2009 as part of the auto bailout and specifically targets people who are NOT members of the labor unions. This action clearly demonstrates Obama's and his administration's propensity to ignore the Constitution (in this case, the 14th Amendment) and simply make up new law on the fly - all the while ignoring the rule of law by misleading Congress and the courts. The Daily Caller followed up two weeks later with a report about a conservative group's ad highlighting the Delphi pension scandal. Announcing the ad, Colin Hanna, president of the Let Freedom Ring group said, "President Obama rightly talks a lot about the importance of fairness, but was it fair for his administration to terminate the pensions of Delphi's 20,000 salaried retirees while bailing out the pensions of the union retirees at the very same company?" The Obama Administration is abusing the bankruptcy system to provide political payback to unions who helped his election campaign and who will work tirelessly against us to ensure his re-election this November. In a speech quoted in the ad, President Obama said, "Right now, bankruptcy laws are more focused on protecting banks than protecting pensions. And I don't think that is fair. Not the America I believe in." Well, Mr. President, the America I believe in is one where the President follows the law. Not one where administration officials simply change the laws they don't think are fair, on their own, without legislation from Congress. That is why we have a Congress and a Constitution. President Obama wasn't trying to protect pensioners. He was protecting union pensioners - to the exclusion of non-union pensioners. And THAT, Mr. President, is not fair. While the mainstream media is mostly ignoring this story, Fox News Channel reports about a bi-partisan group of lawmakers who are demanding an investigation into this lawless behavior on the part of Obama's Administration. This story is not new, of course. Only the portion about the abuse of the non-union employees is new. 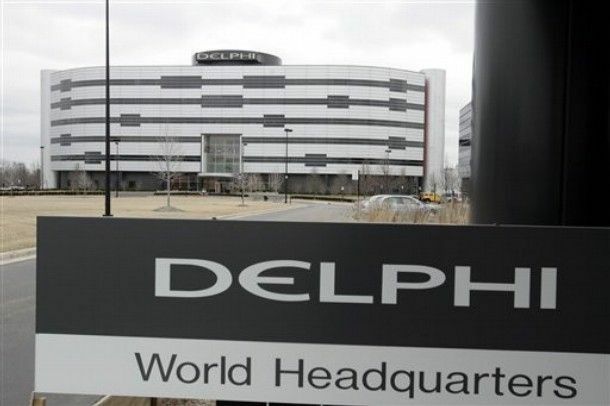 In August of 2009, Automobile Magazine reported on the bankruptcy of Delphi and re-assured pension holders their retirement was secure. The article stated, "Delphi workers and retirees can breathe a sigh of relief today, as the US Pension Benefit Guarantee Corporation (PBGC) has announced it will assume responsibility of the (auto parts) supplier's pension plans." The article concludes with, "The PBGC will inherit the pension plans of about 70,000 Delphi workers." It was only later that the non-union retirees would learn the truth. Imagine the heartbreak and anger of these retirees when they learned their pensions would be cut 30-40% while their union co-workers would be just fine. Is this the way the bankruptcy legal process is supposed to work? What is happening in the U.S. bankruptcy court system? It seems that individual shareholders are not immune to similar abuses either. According to Bankruptcy Law Review, "one individual shareholder living in Colorado found himself sued by a Chicago Tribune subordinated debt holder, a so-called secured creditor. His wrongful act? He bought shares of the Chicago Tribune." The shareholder wrote a letter to the bankruptcy judge, saying "there doesn't seem to be any adult supervision..." Is it even safe to buy shares in public companies anymore?